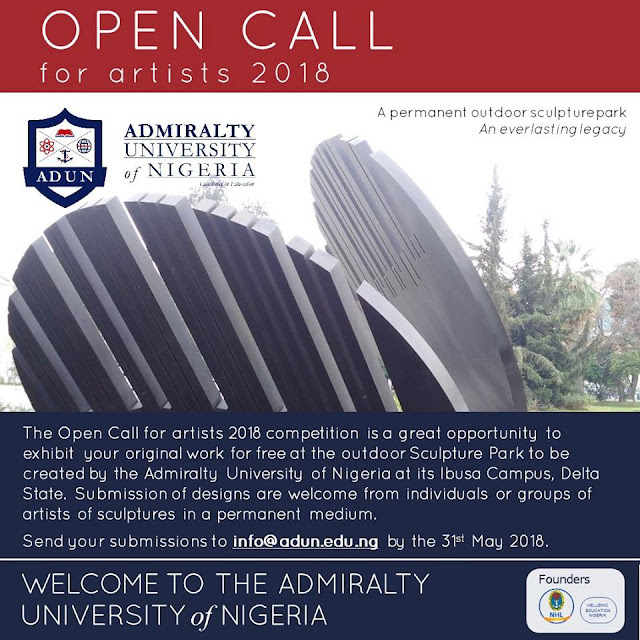 The Admiralty University of Nigeria announces a call for artists for a juried sculpture part at its Ibusa Campus, Delta State. The competition is open to all artists who desire to donate their original work. There are no maximum size requirements, but entries may not be smaller than 100cm in either width or height and constructed in a permanent medium.